Castle mats, not just mats! Why? As we all know castle mats will allow the users of your inflatables to get on and off in a cleaner, comfier and safer way. 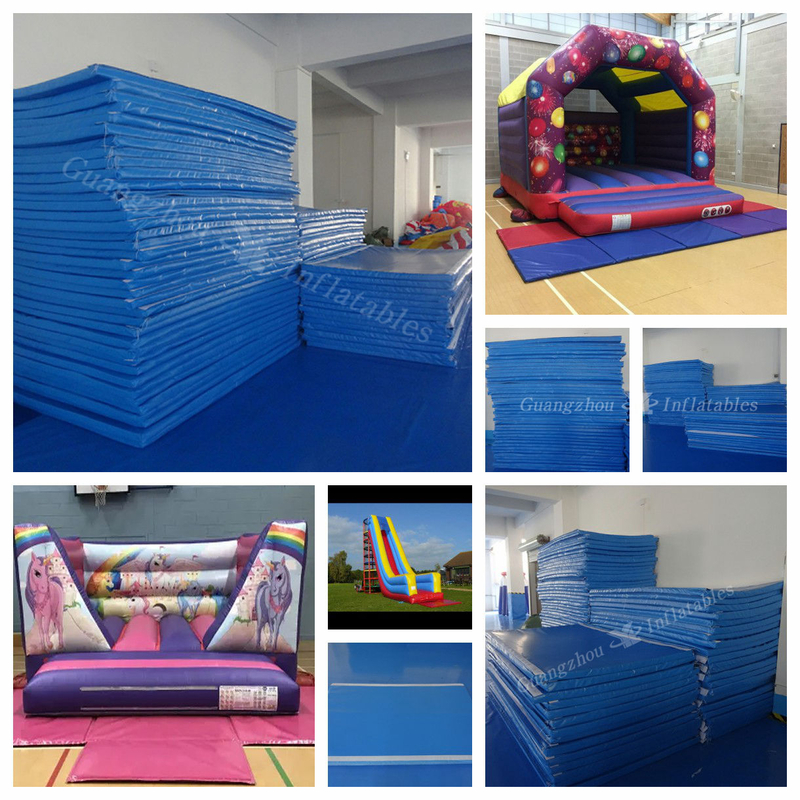 Some mats used by specifically designed for use with bouncy castles （inflatable games） that are set up indoors or outoor, enough matting to help prevent injury. Some mats act as a mat for children, and made from high-density soft foam covered in shiny PVC will protect the kids! Ideal for kids to play with various blocks games indoors or another outdoor event in Carnival! Going back to our question, why is it more than just a mat? Because you will consider using a mat to represent this is a kind of safety awareness, more care, care!